Looking for fear? It's in your eyes! 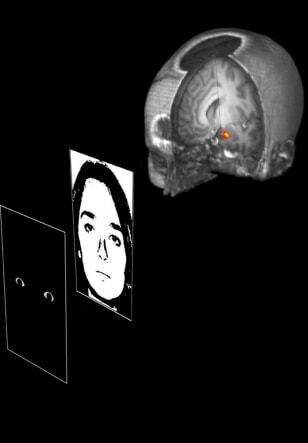 Brain imaging studies in volunteers indicated that the amygdala, shown as a red and yellow spot in this graphic, responded specifically to the wide-eyed image that was interspersed with images of neutral faces.